Xbox Live on the Xbox One will work mostly the same as it does on Xbox 360. There are some key changes to the service that will make it even better on Xbox One, though. An important thing to note is that your current Xbox 360 Gamertag along with your gamerscore will carry over to the Xbox One (yes, Xbox One games will have achievements too). You aren't moving the account, however, because the same account will be shared across the Xbox 360 and Xbox One. One account and one Xbox Live subscription will let you take advantage of Xbox Live on both Xbox 360 and Xbox One. This means, naturally, that your current Xbox Live subscription will carry over to Xbox One. And, likewise, any funds in your Xbox Live Marketplace wallet will work on both Xbox 360 and Xbox One. It is the same account, after all. Any Xbox Live subscription cards you see in stores, or Microsoft Money cards (to add funds to your account and, yes, Microsoft Points cards still work, they just get converted to real money values when you use them) will all work on both Xbox 360 as well as Xbox One. A great new change to Xbox Live on Xbox One is that you will only need one Xbox Live Gold subscription per console rather than per gamertag like it worked on Xbox 360. One $60 per year subscription (usually closer to $40 or less if you wait for deals) will give everyone in your family access to everything Xbox Live has to offer. You will be able to use your gamertag to sign into any Xbox One system in the world and enjoy all of the benefits of your account. You'll be able to play any digital games you've downloaded to your home system on any other system as long as you're signed in with your account. Now almost all of your games will be available no matter where you are or whose system you're using. You'll still need to bring your physical retail discs with you, though. What Does Xbox Live On Xbox One Offer? With your Xbox Live subscription you'll get to play online multiplayer, make Skype calls (with an Xbox One Kinect), and you'll be able to access entertainment apps like Netflix, Youtube, Hulu, ESPN, UFC, Amazon Instant Videos, and many more. The NFL will also have a major presence on Xbox One with fantasy football apps and more. Even better, you don't need to be a Gold subscriber to use apps anymore, so you can have a free account and use Hulu and Netflix now. If you are a Gold subscriber, you also get free games every month and, even better, the free Xbox 360 games work on Xbox One too! Xbox Live on Xbox One was designed with cloud computing in mind. The cloud is available for free to all game developers, which allows every game to take advantage of being connected to Xbox Live in a number of ways beyond just multiplayer. Cloud computing allows certain aspects of running a game to be handled by the cloud instead of the Xbox One handling everything. Physics calculations, lighting, A.I. and other aspects of a game can be processed by the cloud which frees up your Xbox One system to put more power towards producing great graphics and maintaining a steady framerate. It all sounds like some sort of voodoo magic, but Microsoft has pretty much bet the farm on cloud computing for this console generation. If it doesn't work, the Xbox One is screwed. It will work, though, because it has to work. 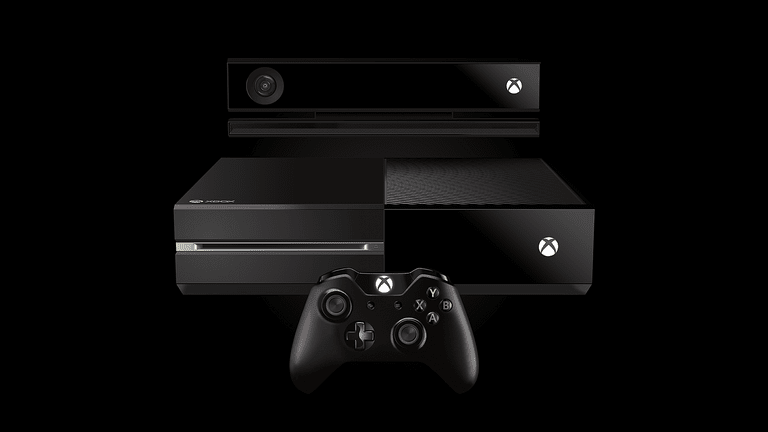 The cloud will also allow the Xbox One to perform other nifty tasks such as automatically downloading game updates. Game developers will be able to continuously tweak and update and change games and these updates will be automatically applied. Some games will also offer dynamic A.I. based on real player data. So, for example, every time you play Forza Motorsport 5 you could potentially play against a new set of opponent A.I., which will keep the game fresh, challenging, and fun. Online multiplayer also gets a boost on the new Xbox Live via the cloud because every single game will have dedicated servers. On Xbox 360, most games use peer-to-peer servers where players directly connect to each other with one player as "host", so the performance in a given round is better or worse depending on the host's connection. In other words, a slow connection could potentially ruin the whole game for everyone. With dedicated servers on Xbox One, all of the players connect to a central server run by Microsoft, which will mean a smoother, better performing, more stable online experience for everyone. The friends list on Xbox One has been increased to 1,000 people and your Xbox 360 friends list will automatically carry over to Xbox One. An interesting new feature is that in addition to "friends", Xbox One will also have a second tier of online interaction called "followers". A "friend" is someone you follow, and then they follow you back, and functions just like friends on Xbox 360 (you'll know when they come online, be able to see what they're playing, etc.). A "follower" is someone who follows you, but you don't follow them back, which means they won't see you come online or be able to see what game you're playing at the moment, among other things you might not want to share with random strangers. The benefit of the followers feature is that you can follow a celebrity or super skilled gamer and you'll see the things they want to share (you choose what to show your followers, such as a new high score, achievement unlocked, or things like that), but whoever you follow will also be added to your in-game leaderboards so you'll be able to directly compare your scores and skills, even if you aren't directly connected the way "friends" are on the service. Xbox Live on Xbox One will utilize a new matchmaking and reputation system that will, hopefully, make it so you'll have more control over who you get matched up with. Troublemakers (people with a lot of negative feedback) will also be handled differently, where instead of potentially being banned from the service entirely, they'll instead be matched up with other troublemakers (until they prove they can play nice and then they'll be moved back to the normal Live population). If these systems work the way they're supposed to, Xbox Live will be a more enjoyable place for everyone. See our full article on The Next Gen of Online Reputation and Matchmaking on Xbox One for all of the details. The best online gaming service is getting better with Xbox Live on Xbox One. Cloud computing (which won't require a Gold subscription) will make games update seamlessly and even perform better. The new friends and followers systems will let you decide how much to share with other players. The new matchmaking and reputation systems will make online gaming more enjoyable. And new policies like only requiring one subscription per console means your whole family can enjoy Xbox Live.